Amazing is the only word to describe this new and very fragrant novelty hybrid! 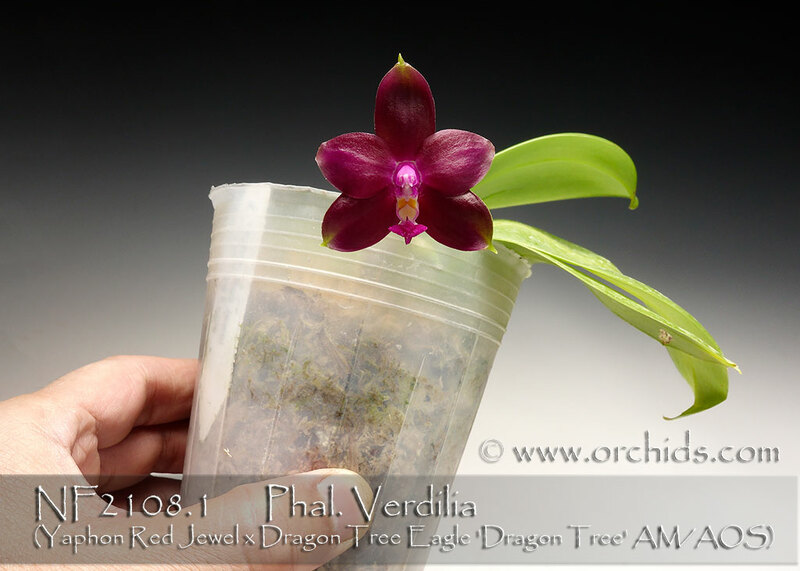 Its parentage combines all of the most essential species in breeding for dramatic color and great fragrance, Phal. violacea, amboinensis, lueddemanniana, venosa and micholitzii. Phal. Dragon Tree Eagle, the pollen parent, has been responsible for multitudes of sensational and award quality progeny. And Phal. Yaphon Red Jewel further intensifies its color and fragrance gene pool. This hybrid can produce greens with a central coerulean contrast, oranges and even solid orange-reds as a result of its select breeding background. Great Award of Quality potential and Very Highly Recommended!